Cryptocurrencies are “clearly shaking the system” according the Managing Director of the International Monetary Fund. 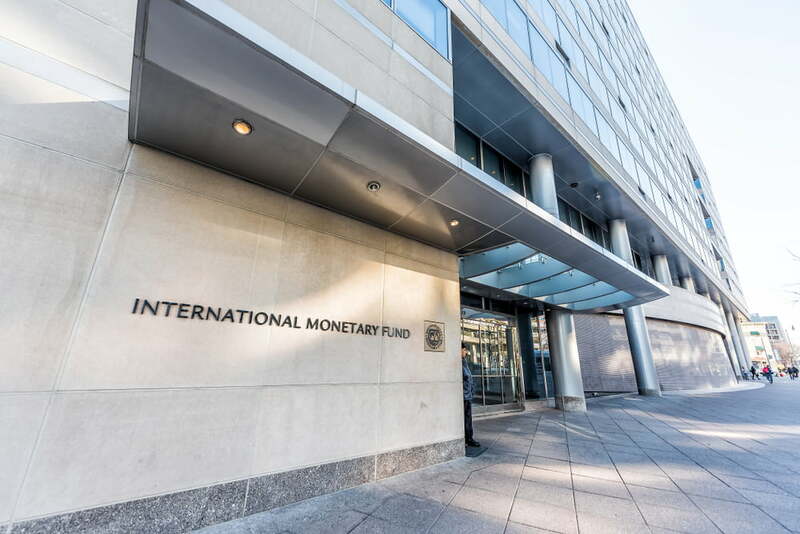 Christine Legarde states that the emerging crypto space must be monitored and regulated to limit the disruption caused to global stability.The IMF chief opined following a panel at the IMF Spring Meetings, which were held in Washington yesterday. She called for financial regulation to move with fintech innovation. The changing business practices of the likes of JP Morgan is evidence that the crypto sector is already impacting the status quo.IMF: Regulation Needed to Protect System from CryptoChristine Legarde, the Managing Director of the International Monetary Fund, has warned that cryptocurrencies could be the catalyst to shake up the banking and finance industries. She spoke to CNBC yesterday regarding the disruptive technology and how it is already changing the way companies do business:“I think the role of the disruptors and anything that is using distributed ledger technology, whether you call it crypto, assets, currencies, or whatever … that is clearly shaking the system.”She continued, highlighting that regulation must accompany such changes since such too much innovation could apparently “shake the system so much that we would lose the stability”. Although not clear whether the “we” used referred to the IMF, herself and the reporter, or if she was boldly speaking for humanity as a whole, Legarde claimed that, “we don’t want that.”Major Bitcoin proponent and the author of The Bitcoin Standard: The Decentralized Alternative to Central Banking, Saifedean Ammous, took to Twitter to lambaste the IMF chief for the hypocrisy of arguing a system based on soft, fiat money was more stable than one based on truly sound money – as argued in his book.If you really wanted stability you would have stayed on gold. Although short of the kind of disruption Ammous believes Bitcoin is capable of, there have already been examples of financial institutions exploring new business models that support Legarde’s point. Most notably of course, is JP Morgan’s JPM Coin – a permissioned digital stable coin that might look a bit like Bitcoin, to the untrained eye, but offers none of the world-changing potential that mass Bitcoin adoption could.Legarde also warned of technology companies entering finance and that they should be subject to regulation:“They will have to be held accountable so that they can be fully trusted.”There have already been numerous examples of companies exploring the possibility of launching their own digital currencies. Notable examples include social media giant Facebook and messaging application, Telegram.This is hardly the first time a representative of the established financial system has expressed caution about crypto. However, interestingly, this time it is not dressed up as baseless insults, as with the likes of Jamie Dimon over the last few years. Rather, it appears that the powers that be might be finally waking up to the threat to the existing norms Bitcoin can be. Perhaps we may be moving towards the more violent phase of the oft-repeated phrase:“First they ignore you, then they laugh at you, then they fight you, then you win.” Related Reading: Crypto Economist Claims Bitcoin is the “Medicine You Need”Featured Image from Shutterstock.